WASHINGTON (Reuters) - Greenhouse gases emissions from the largest U.S. industrial plants fell 2.7 percent in 2017, the Trump administration said, as coal plants shut and as that industry competes with cheap natural gas and solar and wind power that emit less pollution. The drop was steeper than in 2016 when emissions fell 2 percent, the Environmental Protection Agency (EPA) said. EPA acting administrator Andrew Wheeler said the data proves that federal regulations are not necessary to drive carbon dioxide reductions. "Thanks to President Trump's regulatory reform agenda, the economy is booming, energy production is surging, and we are reducing greenhouse gas emissions from major industrial sources," Wheeler said in a release. While Wheeler gave the administration credit for the reductions, which mainly came from the power sector, the numbers also underscore that the administration has not been able to stop the rapid pace of coal plant shutdowns. Voters in states that produce and burn coal form a large part of President Donald Trump's base, but the administration has not been able to forge a path for subsidizing aging coal and nuclear plants, despite industrial players urging the administration to act. Trump has said that the climate is changing but he does not know the extent to which humans are causing it, and last year he announced his intention to pull the country out of the 2015 Paris climate agreement. Natural gas releases far less carbon dioxide when burned than coal and a domestic abundance of gas has driven a wave of closures of coal plants. In 2017 utilities shut or converted from coal-to-gas nearly 9,000 megawatts (MW) of coal plants. Energy Secretary Rick Perry submitted a plan months ago to the White House to subsidize the plants using tools that would support industry when national security is at risk. Perry told reporters in late September that his agency's ideas were still being "bandied about" at the White House. A report in Politico this week said that White House officials have put the plan on the shelf, over questions over who would pay for the subsidies. A coalition of natural gas drillers, consumer advocates, some grid operators, and renewable power interests have opposed subsidizing aging coal and nuclear plants. 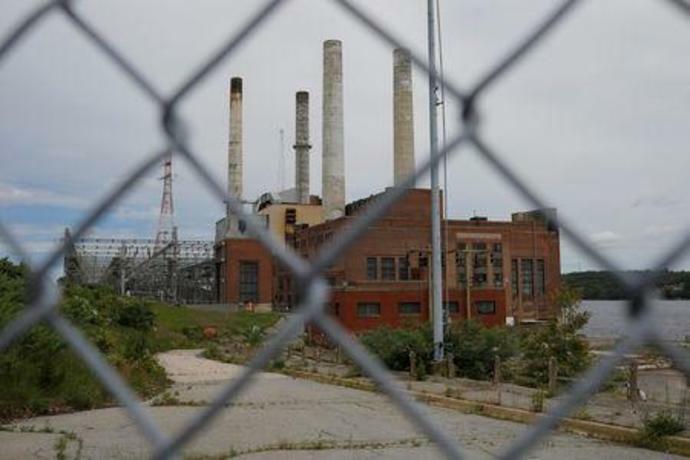 The trend of U.S. coal plant shutdowns is expected to pick up this year, with power companies expecting to shut 14,000 MW of coal plants in calendar year 2018.